Inlet Pressure Gauge : 2 nos. of 0 - 210 kg/cm² Gauge. 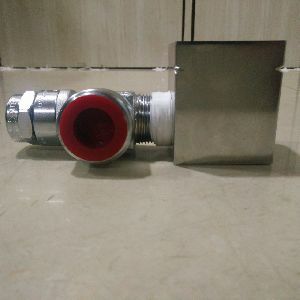 Outlet Connection : ¼” OD ferruel fitting with ball valve. Outlet Pressure Gauge : 1 no. 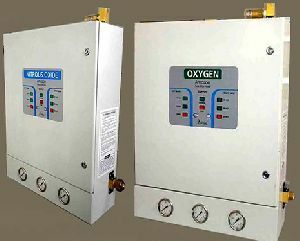 of 0 - 14 kg/cm² Gauge / as per requirement. Mounting Dimension Size : 500 mm(L) X 300 mm(H) X 45 mm(D). 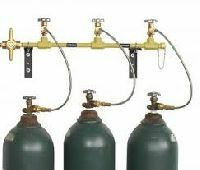 We offer qualitative gas manifolds that are used to connect two or more high pressure cylinders together to achieve high flow rates or extra storage capacity. The products may be arranged in different configurations depending on flor space availability. Jai Gopal Engineering Works Private..
Universal Welding and Engineering Company provides customized designs & services in respect of Trailers, Cylinder Quads, Cylinder Bank with interconnected manifold duly fitted with InletOutlet Valves and High Pressure Regulators. These jobs are carried out strictly as per norms prescribed by various authorities. During Our Experience of more than two decats in Engineering industries. 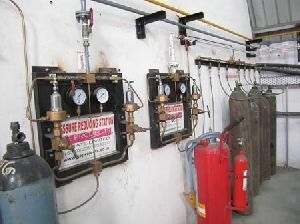 We have emerged as a specialized Supplier of High pressure Specialty Gas Cylinder Manifold and Allied Services in Various Industrial Setup and research laboratory. 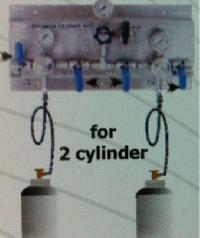 Specification: • Gas Manifold for cylinder with M.S. 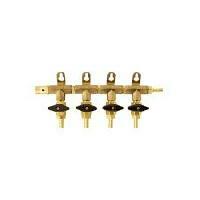 Powder coated wall mounted bracket brass chrome plated block, 1 inlet and 2 outlets. Working pressure 150kg. • Working pressure 225kg. 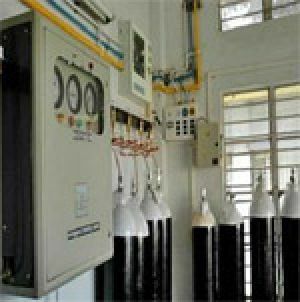 The kamrup industrial gases limited caters to all the coustomer needs. 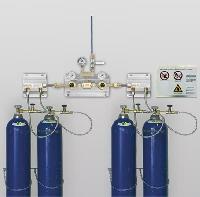 In the range of gas manifols systems we have systems for both medical and industrial applications. 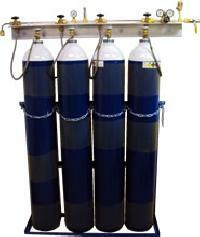 Diverter Manifolds are used to re-direct the well fluids & gasses produced during well testing operations. 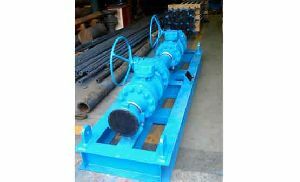 The Diverter Manifolds are constructed out of Ball Valves selected as per Pressure Ratings. 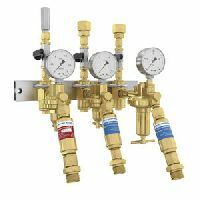 These Manifolds can be used with Sparklet Piping Package SPECIFICATIONS: Meets Requirements of NACE MR 0175 Working Pressure Ratings 1440 psi & 2160 psi Sizes 2”, 3”, 4”. S.S. (304, 304L, 316, 316L) H.P. 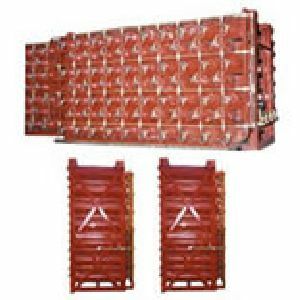 Blocks for Filling Manifolds for Argon, Oxygen, Carbon Dioxide, Hydrogen, Acetylene. 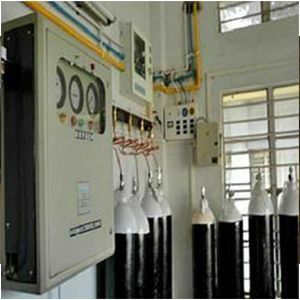 We are engaged in fulfilling the requirement of Gas Manifold by various industries. 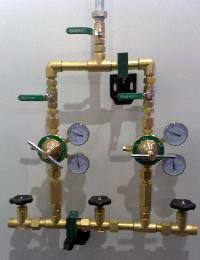 Our Gas Manifold has garnered widespread acclaim for its sturdy construction and efficient performance. 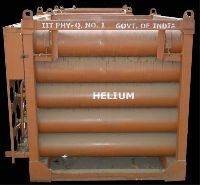 We package the Gas Manifold in durable material so that there is no risk of damage during transit throughout country. 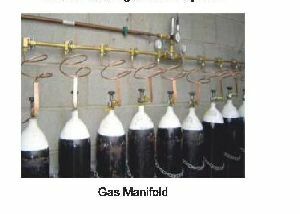 That is why we are a celebrated Manufacturer and Supplier of Gas Manifold from Mumbai, Maharashtra. 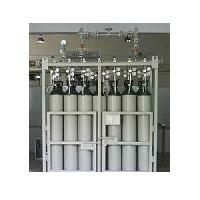 We are an eminent and leading trader of double gas manifold. 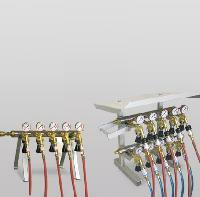 We are manufacturing Gas Cylinder Manifold systems for Industrial gases (Oxygen, Nitrogen, Argon, Co2 etc). 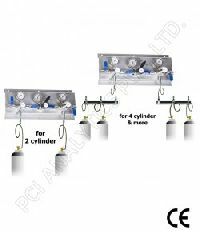 These are being supplied to reputed & leading cylinder manufacturers as per quality standards. 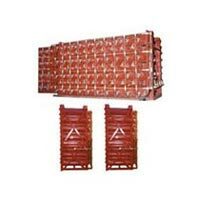 We assure you of quality product and price advantages due to our efficient manufacturing practices. Prama instruments pvt. 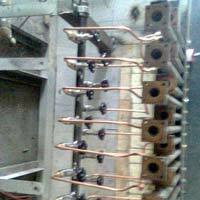 Ltd. - we are a prominent manufacturer, supplier, and exporter of gas manifolds in india.